ScreenPLAY artists Sharon Hayden and Alastair Nisbet and the Dorset Wildlife Trust invite you on a therapeutic journey through the fields and meadows of a forgotten valley: Kingcombe. Guided by tales of people who lived and worked there, and the centuries-old folklore of the trees, our interactive journey Rites of Way, leads you through a landscape untouched by modern farming. Just as the stories on our wheel of trees are about alchemy, so are our icons, transformed from clay into golden leaf shapes through the alchemy of raku. Trees can speak to us about strength, anger, joy, love and sadness. Through stories on our circle of trees we can reflect on our own life experiences. Rites of Way includes two routes through Kingcombe and a collection of flower folklore stories. 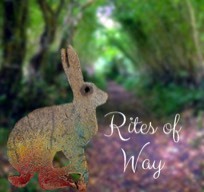 Rites of Way is a free download for iPhone and iPad on the App Store https://appsto.re/i6Yw6qZ. When you run Rites of Way, make sure your iPhone or iPad is not set to silent. If you have any problems with the app, please contact us using the contact tab on the left. We’d love to hear your comments about Rites of Way on the feedback panel below. Scan the code to go the the Rites of Way page on the App Store. Sharon and Alastair talk to Dorset Wildlife Trust conservation officer Nick Gray about the folklore associated with meadow flowers. Nick talks about Hospital fields for livestock, finding your true love and the grim origin of the Sardonic grin - all this plus wild boar of the reserve. Tell us what you think about Rites of Way. Did you enjoy it ? How could we make it better ? Experience Kingcombe as you’re never seen or heard it before on a unique interactive journey. The special environment of this valley has been re-interpreted by ScreenPLAY who invite you to explore the lanes and meadows of this ancient Dorset landscape in a new way. Guided by stories of people who lived and worked there and the centuries-old folklore of the trees, our interactive journey Rites of Way, uses smartphones to guide you on two routes through the valley. “It’s has been described as one of those unique places with an atmosphere and quality that is beyond description,” explained project leader Sharon Hayden. “Kingcombe centre founder Jill Spring describes ‘an energy founded in the land itself and nurtured by the people’ which makes visitors feel feel cared for and inspired. We are trying to evoke some of those feelings on our journey and look at Kingcombe through the eyes of those who lived there. 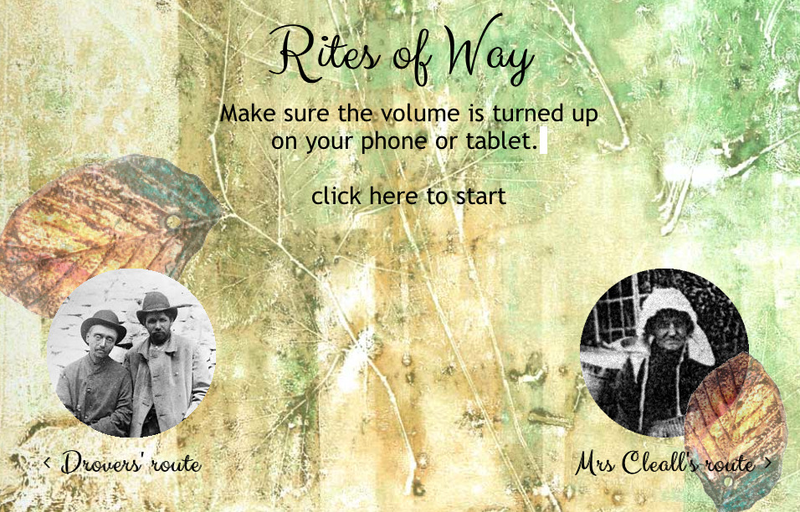 Rites of Way is being launched in late September 2013 - To take part you will need to preload the pages in your smartphone - either before setting out for Kingcombe or at the centre. Come back to this page for the latest information and follow us on Twitter @shascreenplay. The project has been commissioned by the Dorset Wildlife Trust and funded by Arts Council England. ScreenPLAY creates interactive narratives which create a sense of place and invite participants to become co-creators in their work. Recording the story of the Oak: Rites of Way was recorded on location at Kingcombe. To experience it best you need to be there in the landscape. Thanks for your email inquitry to ScreenPLAY. Someone will be in touch with you shortly.